As smart phones continue to become more and more prevalent in our world today, with millions of individuals from around the globe owning one, or more of these devices. With smart phones gaming, chatting, texting and staying connected to friends and loved ones has never been easier. However, for many seniors, the idea of finding and starting to use a new cell phone can seem like a challenge. One of the best things about technological advancements today is that while some pieces of technology are able to do more, companies are also able to make pieces of technology that intentionally do less. There are smartphones that are designed specifically for seniors and special apps that you can install to make it simple for seniors to navigate through the basics of their new phone. You don’t want seniors to have to rely on a small screen or complicated home interfaces. Look for a smart phone that has large, clear icons on the home screen that will be easy for seniors, even those with vision problems to use. Sometimes, the most confusing part about a smart phone isn’t its screen or settings, but the plan that comes with it. The simpler the plan the better. Most seniors won’t need one that is overly complicated, they simply need something for basic calling and data usage. Phones that you are familiar with. Most seniors who are just getting used to using a smart phone will rely on their family members and caregivers to help them navigate the twists and turns of using this type of device. Consider investing in a phone that you are familiar with, so that you can help your loved one easily when they have questions. While some pieces of technology tend to get progressively smaller with time, new, bigger smart phones are all of the rage right now. Virtually every brand of smart phone has a large option available that is somewhere in between a standard phone and a tablet in size. These larger phones are great for seniors as they are easier to hold, easier to find and easier to see. Keep these tips in mind if you are looking to help your senior loved one find a new smart phone. This can be a great way to help your loved one stay active, engaged with the outside world and to help them fight off issues with loneliness and depression. 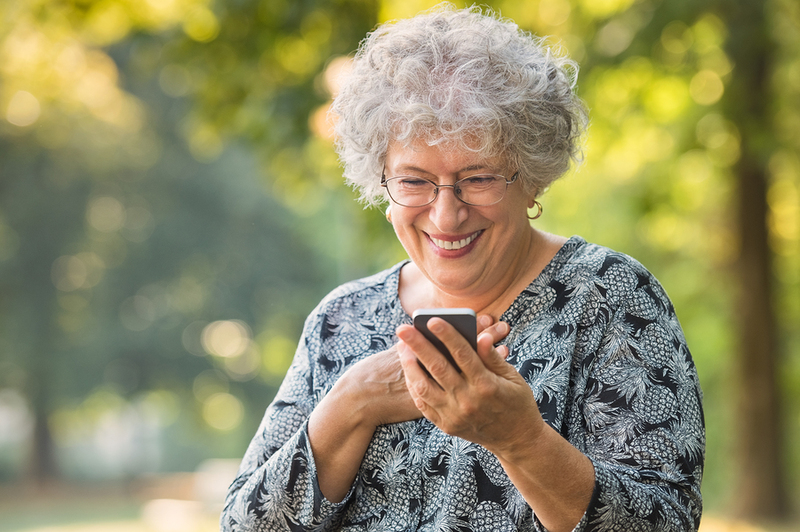 While some seniors may be resistant to trying this new technology at first, if they simply take the plunge and test out a new smart phone, they may be surprised by how much they can benefit from these devices.